Insignia 5 cubic foot chest freezer to be used for a keezer? 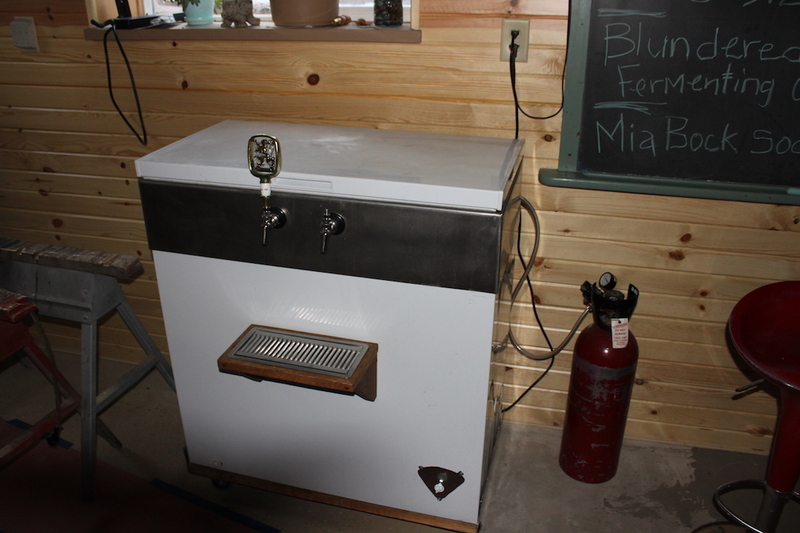 I am thinking about building a small Keezer from the Insignia 5 cubic foot chest freezer. 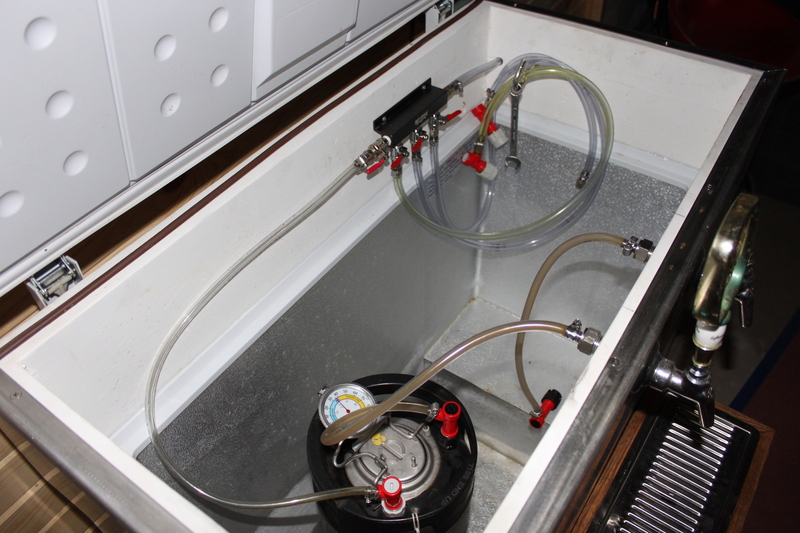 The reason for this small a Keezer is purely space. I just don't have it. I am looking for comments from anyone has used a 5 cubic foot chest freezer. I would like to see photos if possible. I would like to know also, the size riser you built into it with the wood dimensions. I would like to know your comments about how you like or dislike its size. For me, the wood riser or collar size was driven by the height of a corny keg sitting on top of the compressor hump in the freezer. 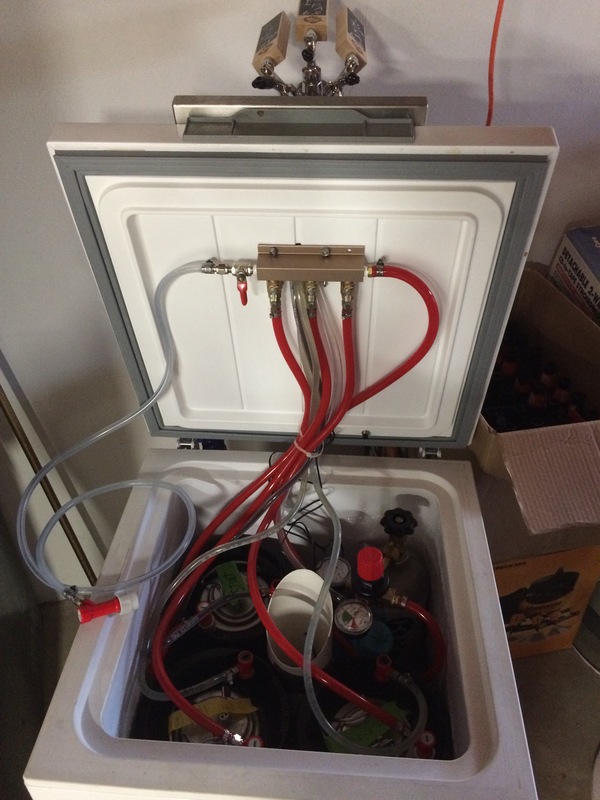 By making the collar high enough to put a keg there, I could get 4 kegs, rather than 3 into my 6.9 cu. ft. freezer. See my post here for details. 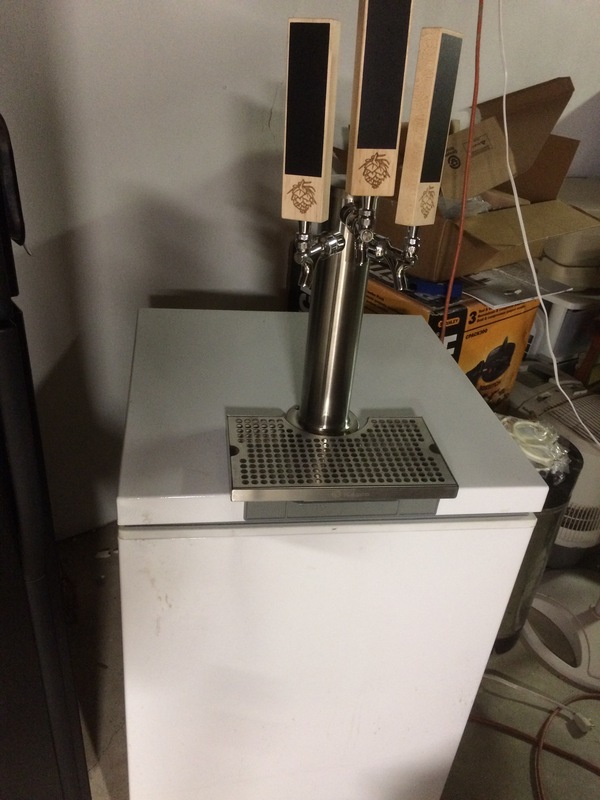 This is my keezer I built about 1 year ago. Inside measures 18”x18”x30”. Everything just fits, even a 3” pvc pipe in the center with a small computer fan in the bottom to force cool air up to the tower. The fan is wired to run only when the lid is shut. The extra gas line is to charge kegs off line. Thanks for the quick reply. The descriptions help and the photo'd product looks great. What make and size is that keezer?